Are you looking for a unique boutique hotel in Boston for this summer? 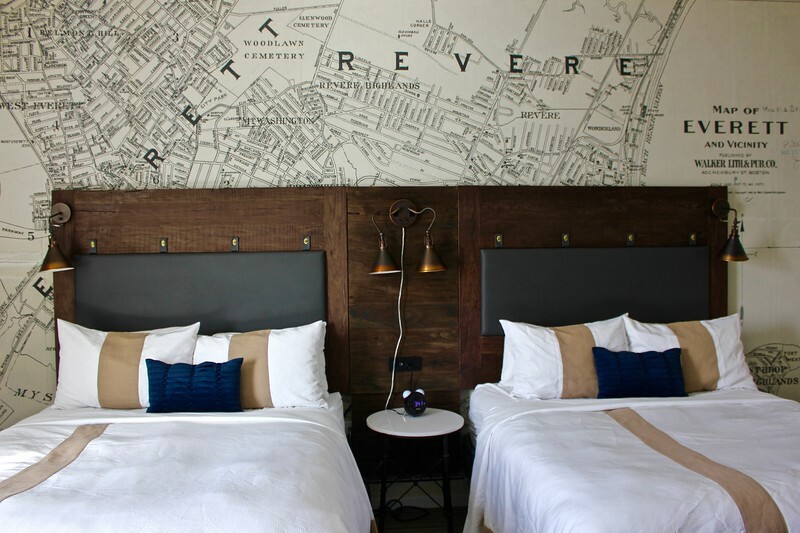 If so check out my enVision Hotel Boston Everett review! I first learned about enVision Hotels, a unique line of boutique hotels, when I met with Choice Hotels International at a travel conference in January. enVision is part of Choice Hotels’ upscale Ascend Collection, and no properties are alike – each is designed to capture and celebrate the spirit of the surrounding community. enVision also has a strong commitment to conserving natural resources and supporting local businesses. Given that the brand aligns well with my values – and two of the four* properties are located in Boston – I wanted to see what the guest experience was like. * enVision Hotels are located in Boston’s Longwood area; Everett, Massachusetts; St. Paul, Minnesota; and Iowa City, Iowa. 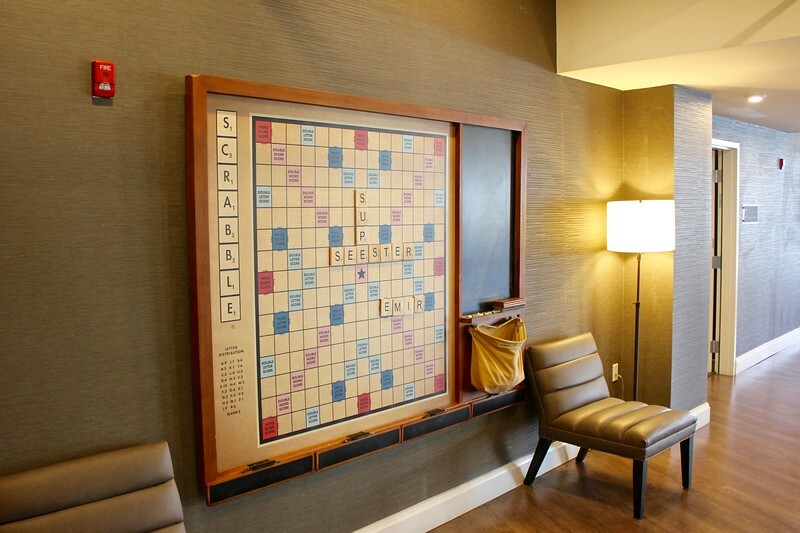 The giant Scrabble board encourages guests to squeeze in some playtime. 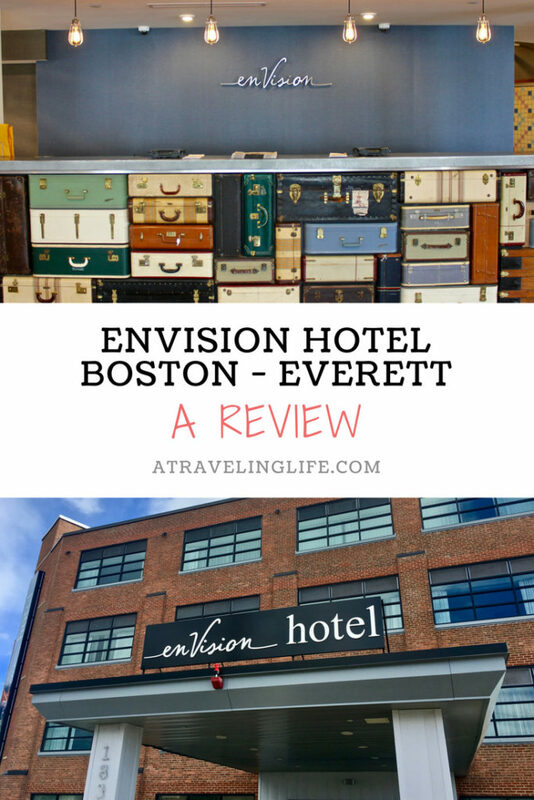 I chose the year-old enVision Hotel Boston Everett for my staycation because I haven’t spent much time in Everett, a former manufacturing city a few miles north of Boston. Like many communities on the outskirts of Boston, Everett is undergoing a period of transformation as new residents arrive in search of more affordable housing options. The enVision property is Everett’s first new hotel in 70 years, but it soon will be joined by the Encore Boston Harbor, a luxury resort and casino hotel that is scheduled to open just two miles away in 2019. My grandmother had a Singer sewing machine, so this feature in the lobby brought back a lot of memories. The building which enVision Hotel Boston Everett now occupies was built in 1922 and had several different uses over the years; however, its décor captures the period of time it spent as a shoe factory. From the minute you walk through the sliding doors, you can tell that its past has strongly influenced its present. Right in front of you is the front desk, an eye-catching structure made from a pile of old suitcases and trunks. 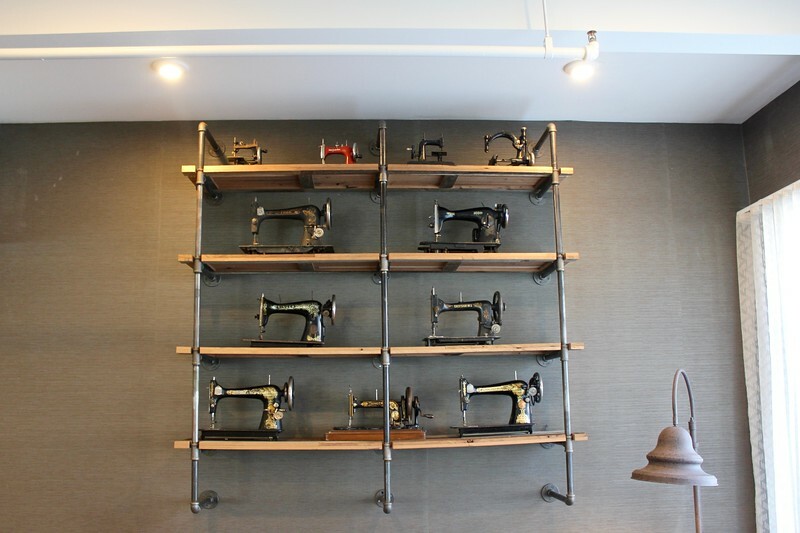 The building’s original beams and pipes are exposed throughout the lobby, while Singer sewing machines line a wooden and iron shelving unit by the front windows. 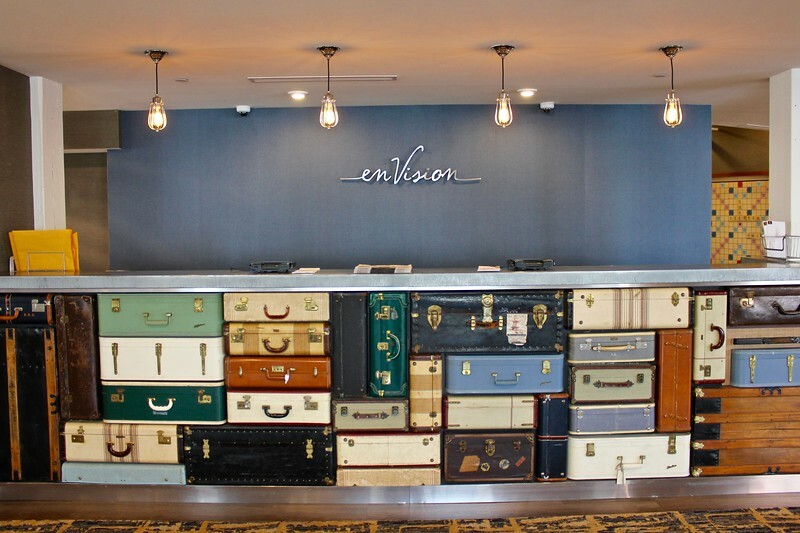 enVision Hotels set the mood by using rich materials like antique brass, reclaimed wood, leather, and velvet. The rooms are filled with vintage touches – a map showing what the area looked like in the 1920s covers an entire wall, and there’s even a period-appropriate phone and alarm clock (I’m sure younger guests are puzzled by these!). The rooms aren’t large, but they are quite comfortable. And they manage to squeeze a lot in them, including a desk, which was very convenient, and a cozy chair with an “Everett” pillow picturing a sewing machine. 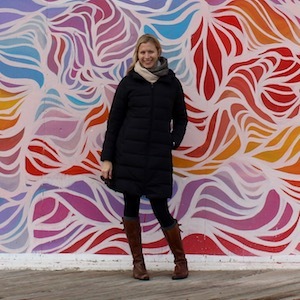 After a busy few weeks of work and travel, I was very content to focus on the “stay” part of staycation – reading, working and watching TV in bed (I no longer have cable at home, so TV is a treat!). I motivated myself to work out twice, though, in the very clean and spacious fitness center. Although my room overlooked the parking lot, I couldn’t hear any cars or street noise, so I got two very full nights of sleep. Lucy matched the hallway carpet! I wasn’t entirely alone during my staycation. 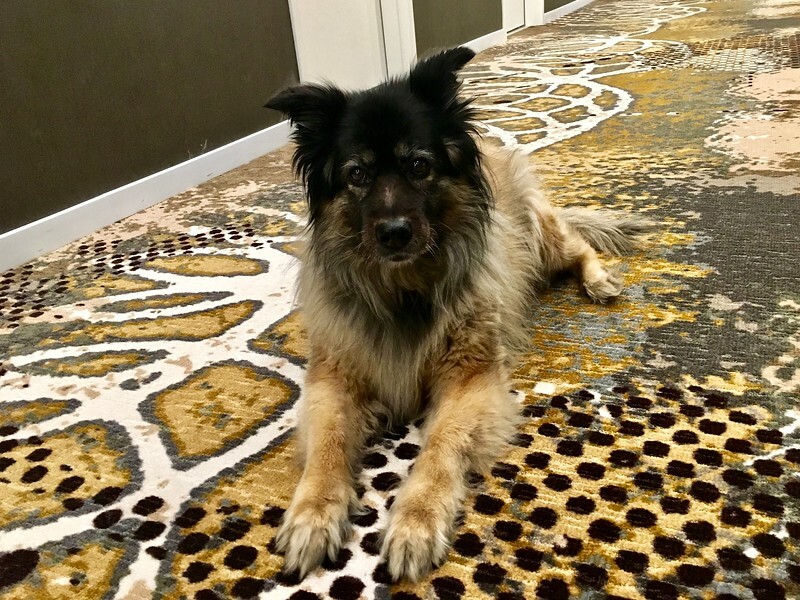 Since enVision Hotel Boston Everett is 100% pet friendly –a huge perk for many travelers – I was excited to bring my dog, Lucy, along with me. However, she’s an old lady now and no longer as adventurous as she used to be. I could tell she wasn’t as thrilled as I was to be there, so I brought her home after the first night and left her in the care of a friend. Other than needing to drop off Lucy, I didn’t venture too far away from the property during my two-night stay. 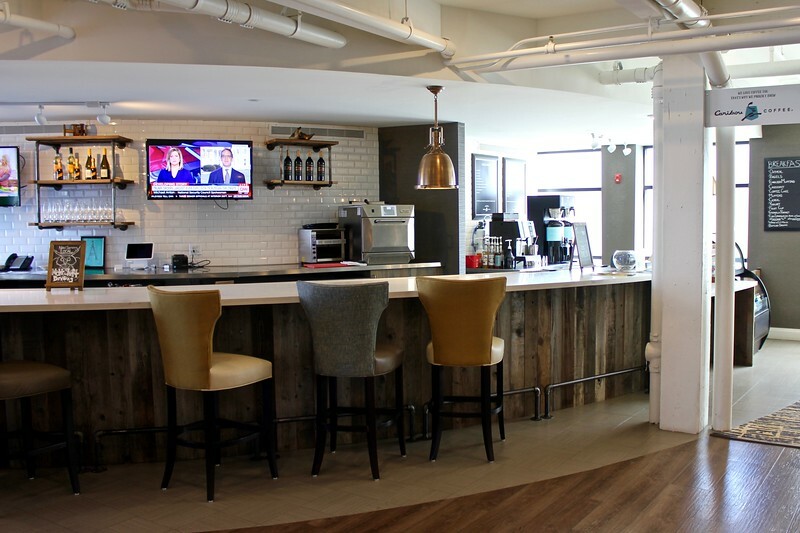 The enVision Hotel Boston Everett has a spacious bar and dining area in the lobby; however, there were only a few pre-made items available to purchase for each meal at the Against the Grain Bistro. Since there are mostly fast food restaurants and convenience stores located within walking distance, I hope the Bistro offers more options (and some fresh options) in the future. It did have local beer on tap, though, and I always appreciate that. Working out at the enVision Hotel Boston Everett fitness center was quite a treat. It has top-of-the line equipment, and it’s divided into two spaces – one for cardio machines and the other for weights. There is a parking lot with plenty of free parking. If you don’t have a car, you can take a 10-minute Uber/Lyft ride from the Sullivan Square T stop. It’s also less than a 15-minute Uber/Lyft ride to Boston Logan International Airport. If your pup is more of a traveler than mine, you can request a pet bed and bowls, and even a toy and treats. All enVision Hotel host enStyle Soirées a few evenings each week that offer guests complimentary food and entertainment that are local favorites. If you’re a craft beer fan, two of the area’s most popular breweries are only a few minutes away from the enVision Boston-Everett, Night Shift Brewing in Everett and Mystic Brewery in Chelsea. 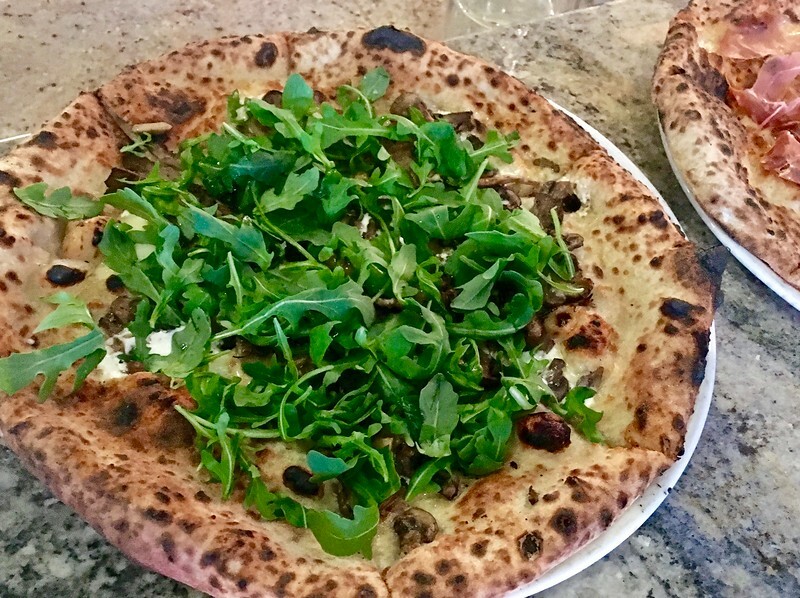 And one of the best pizza places in the country, Ciao Pizza & Pasta, is close to Mystic Brewery. There also are numerous restaurants as well as shops and a movie theater at Assembly Row in Somerville. 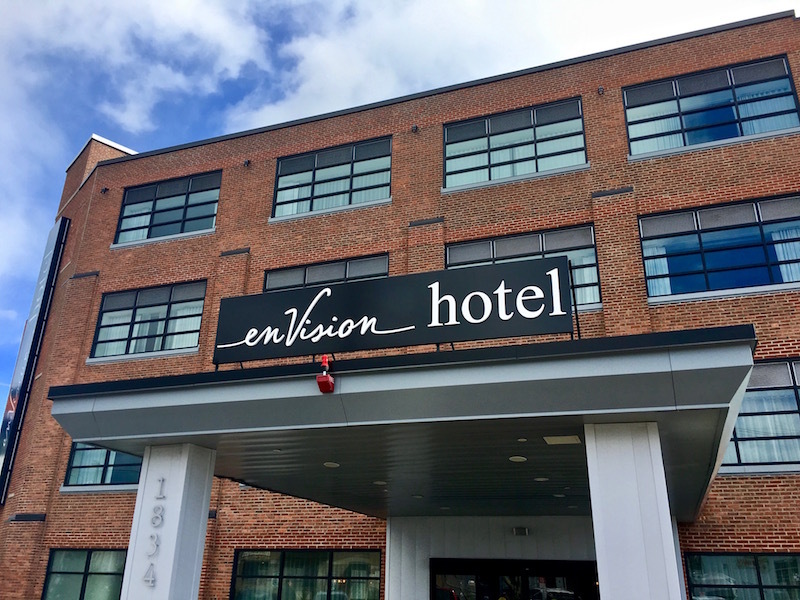 This enVision Hotel Boston Everett review was provided in exchange for two nights of accommodations. Thank you for hosting me (and Lucy too! ).